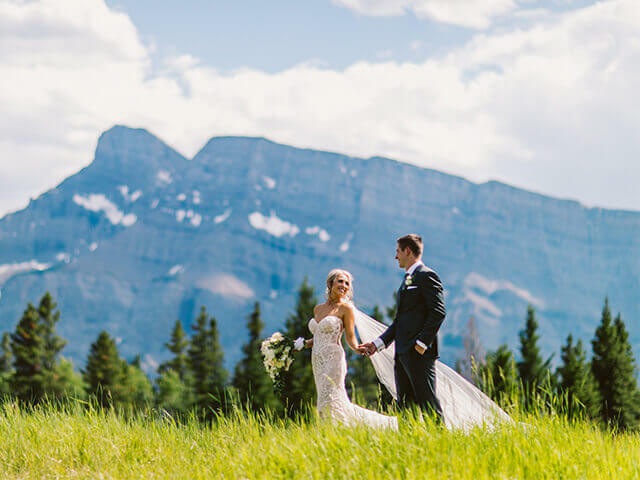 Pez Productions is an Award-Winning Calgary DJ Service and Production Lighting company servicing Calgary, Banff, Lake Louise and surrounding areas. Launched in 2009 by one of Calgary’s most sought-after DJ’s, DJ Fayyaz K, Pez Productions has grown into a team of talented powerhouse DJ’s and is recognized as one of the most prestigious DJ companies in Calgary. Drawing from his 17-plus years in the industry, Fayyaz (formally DJ Pez) has built Pez Productions to be synonymous with high-quality events and satisfied clients. Following his lead, the company’s talented DJs have challenged industry standards and established a second to none reputation, making Pez Productions a desirable addition to any party, occasion or event. What Makes Pez Productions Different From Other DJ Companies? To them, DJing is a form of lifestyle and not just a "part-time" job or side hobby. They are all current in the local music scene showcasing multiple events a month, keeping them fresh and up-to-date with new songs and trends. With this dedication to music and DJing, we provide a service that is unmatched. With multiple years of DJ experience in their repertoire from a variety of different events. Most of our DJ’s have a strong nightclub background -which forces them to learn how to fill and keep a dancefloor full throughout the entire evening- as well as a reputable Wedding and Corporate Event background; allowing us to give our clients and events an extra level of expertise and energy. We are experts in blending tracks together with synergistic transitions from song to song, continuously raising the energy in the room. With our DJ’s, you won’t see any push “Play and Stop” DJing, which causes breaks in the music and kills the energy. 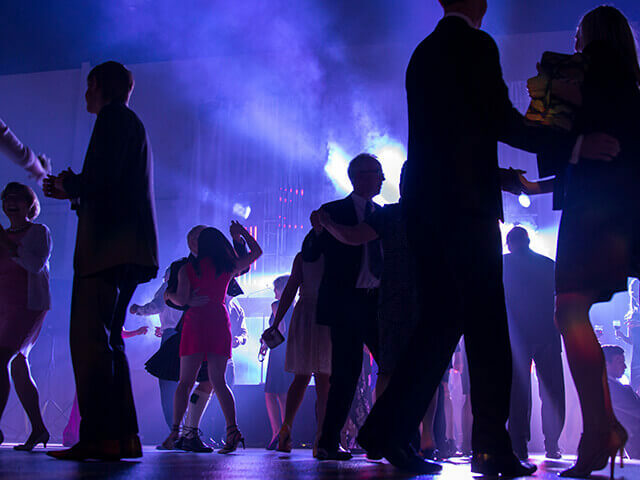 We generate a solid flow of music throughout the event, which will create energy and excitement in the room, keeping your guests on the dance floor all night long. We are experts in music selection. 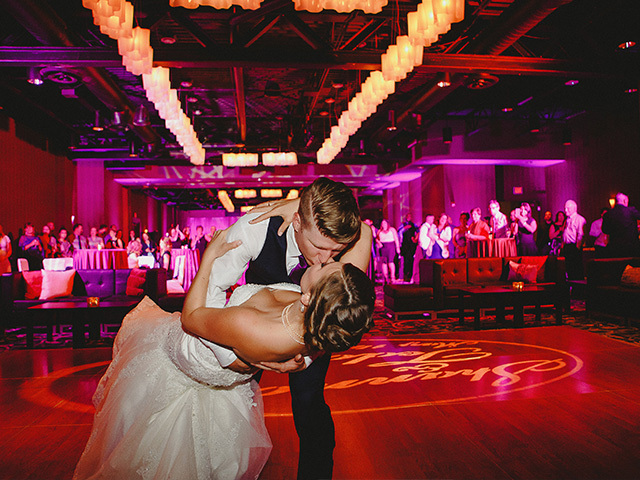 We are familiar with all genres of music and know what will get your guests up and dancing. We know large crowds require a diverse selection of music to get everyone engaged. We use our experience and skill to read the crowd and mix different styles and genres of music together, encouraging participation by everyone and giving you an unforgettable event with every guest - young and old alike - having a great time. so you don’t have to, and help streamline the process of selecting music and creating the perfect event. Our goal is to take away the stress of throwing an amazing event and allow you to enjoy yourself as a guest. For our wedding clients, we want you to be able to relax and enjoy your wedding day hassle fee; allowing the music to set the mood and assist in creating lasting memories. We customize your event so it will be original. Whether it’s through music, lighting or both. We believe each event and each couple is unique, and that the overall experience should be a reflection of that. 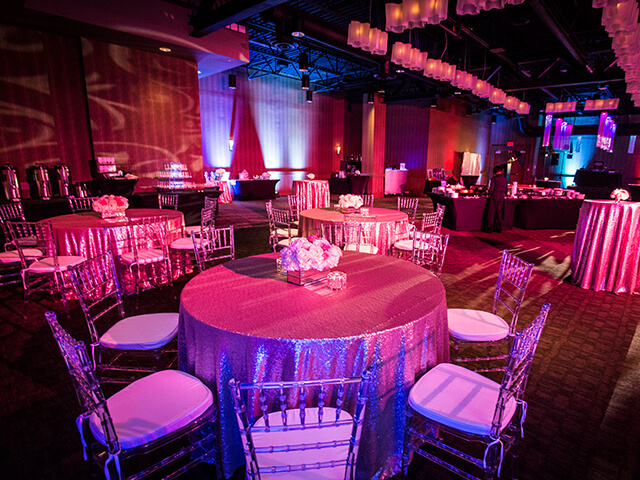 We work with you to design the perfect event that will be memorable for you and your guests. We will use our expertise and knowledge to support you through the entire process, offering suggestions and ideas to make your planning as easy as possible. 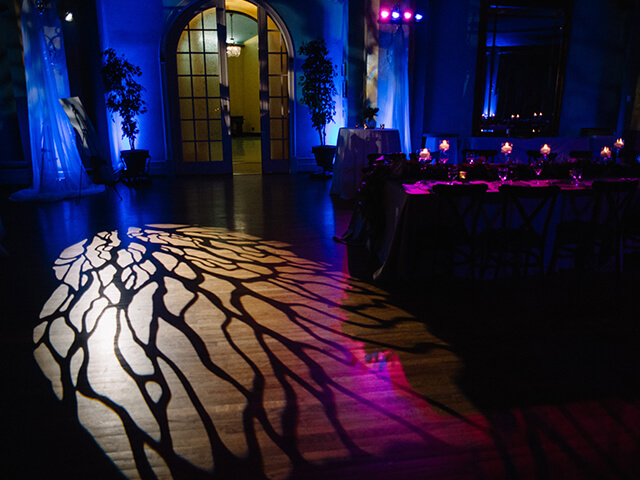 We work hand-in-hand with most of the top venues and vendors in and around the city. These key relationships allow us to understand the particulars of each venue and how different vendors operate, which in turn, allows us to give you specific ideas, suggestions and insights directly pertaining to your event to help you achieve the best experience possible. We offer a sense of security. We know that a big concern with any event is, "What if the DJ can't make it or doesn't show up?" 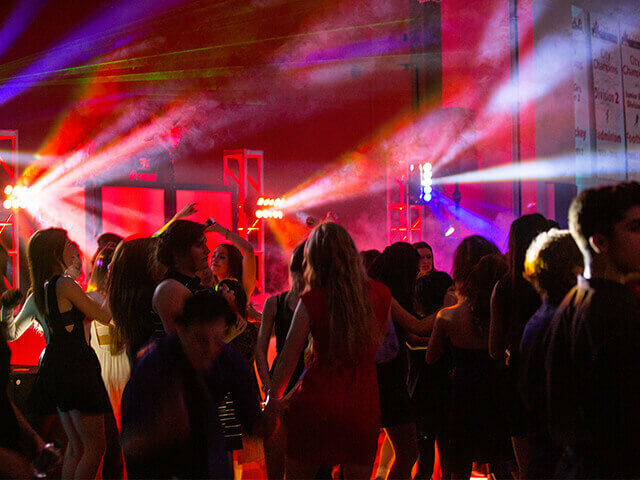 With our large team of DJ's, your event will go off without a hitch, no matter what. We always have a backup plan in place and pride ourselves in our punctuality and commitment to our clients. Whether it is replacing a sick DJ or equipment that fails last minute, rest assured we always have a plan A, B and C.
"The love and passion for music as well as the ability to entertain a crowd is what makes a real DJ. It takes a unique talent to be able to read the crowd, play the right music, evoke specific emotions and take them on a memorable journey. The ability to create and raise the energy in a room takes precise song selection, mixing, timing and playing a track at the perfect moment –that’s what creates the magic. Allowing each song to be a bigger hit than the last; this isn’t done by chance but by choice. This is a skill that can only be learned and mastered through years of hard work, experience and dedication. This is the art of a DJ, and only the best know how to do it."